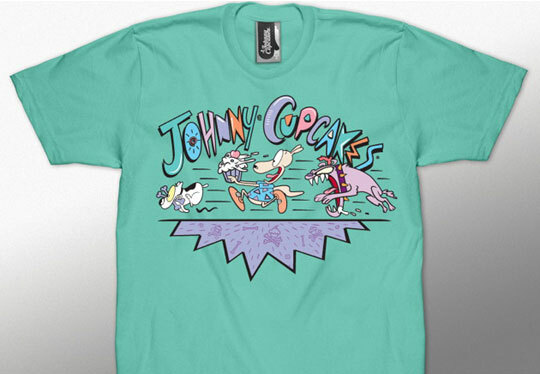 Johhny Cupcakes, the clothing brand that always combines pop culture and cupcakes in its designs, recently released t-shirts from its collaboration with Nickelodeon. While it has already released Spongebob Squarepants and Red & Stimpy shirts, last week’s release included designs featuring the Rugrats, Rocko’s Modern Life, and Catdog. The Johnny Cupcakes brand is run by John Earle, a young entrepreneur who has been serious about protecting his brand and its trademarks. Last year on his blog, he gave readers an interesting look at how trademark infringement affects his brand and gave some advice for protecting one’s trademarks. No, really, make us a Doug shirt and we’ll wear it. Steven Daroci is a second year student at Fordham Law School. He grew up in New Jersey and graduated from Georgetown University.